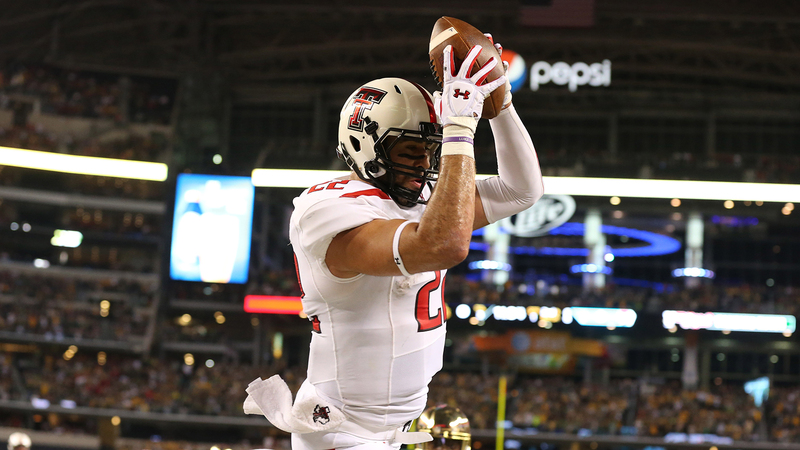 Jace Amaro was one of the nation’s top tight ends in college football at Texas Tech this season, and he announced after the Red Raiders’ Holiday Bowl win that he’s ready to take his game to the next level. The 6-foot-5, 260-pound beast wants to see what it’s like on the other side. But it’s not what you think. Before possibly being a first-round NFL Draft pick, Amaro is working in sports media as an unpaid intern for the San Antonio Express-News. "For the next few weeks, I’ll be on the other side of the interviews," Amaro posted on the Express-News’ website. "It will be different, and a lot of fun seeing what athletes have to say. I’ll be at the U.S. Army All-American Bowl, and these players are going to mumble and stumble a bit like I did. "I want to see how the press has changed in the social media age. I think people are quicker to jump to conclusions based on what they see online, and they can get the wrong image of you. When you see Johnny Manziel and Jameis Winston, they’re such public figures now, and everybody has a different opinion of them." Why is he doing this if a big career and paycheck await him in the NFL? Amaro says he is already preparing for a job in the press box after his playing days are over. "Whenever I’m done playing football, I’m not going to sit on a boat fishing every day," he said. "It’s inspiring to see players make the transition into media after they’re done playing." One of his biggest inspirations is former Dallas Cowboys quarterback and current FOX NFL analyst Troy Aikman. "I was always a huge fan of his play, but what really made me more intrigued is his career as a broadcaster," he said. "Hearing him break down the game after watching him play for so many years is something I would love to do in my career."